What's the best part of going to the movies? Popcorn recipes, of course! But those big tubs of buttery goodness can often cost a fortune. 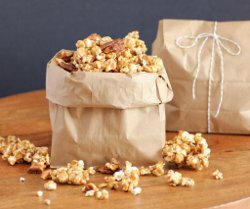 These homemade popcorn recipes below come in all of your favorite varieties. 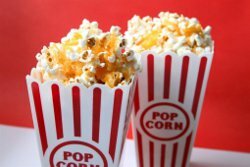 Whether you are partial to cheese popcorn or caramel popcorn recipes, you'll find those choices and then some. Take your taste buds on a wild ride with popcorn flavors like peanut butter and jelly, Italian breadstick and more. Pop up a great recipe with the help of this handy list. Cheesy Movie Popcorn - Shine like the star you are with this copycat snack recipe. You'll be ready for your close up when you make this delicious Cheesy Movie Popcorn recipe. The addition of cinnamon brightens up the mix. 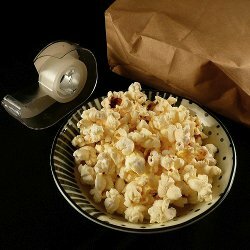 Easy Homemade Microwave Popcorn - This Easy Homemade Microwave Popcorn tutorial shows you how to pop popcorn in the microwave with just kernels and a paper bag. Italian Parmesan Breadstick Popcorn - Give restaurants like Olive Garden a run for their money with this one-of-a-kind snack. Italian Parmesan Breadstick Popcorn takes all of the fabulous flavor incorporated in the classic restaurant dish and reinvents it in the form of crispy crunchy popcorn recipe. 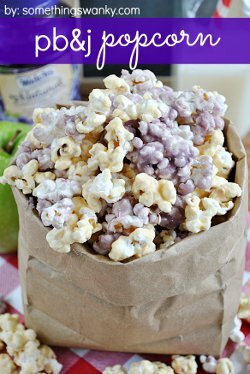 Peanut Butter and Jelly Popcorn - If you're tired of expensive movie theater snacks, save yourself a bundle by making this Peanut Butter and Jelly Popcorn at home. Not only does it look beautiful, but the familiar flavors of peanut butter and jelly are sure to please the crowd. Throw a party with this super simple and festive copycat recipe. 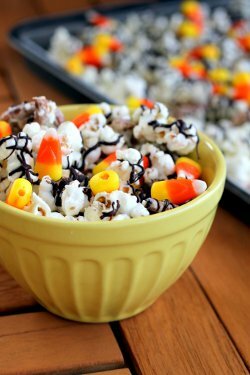 White Chocolate Candy Corn Popcorn - White Chocolate Candy Corn Popcorn is an edible gift recipe you can make for your friends, family and even for teacher's gifts. You'll adore the sweet crunch of this white chocolate dessert popcorn recipe. Drizzle with your favorite topping to add a little personal flair to this easy copycat recipe. 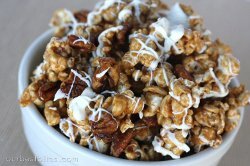 Copycat Cinnabon Popcorn - Holy cow. If you're looking for an over-the-top decadent dessert recipe, this one will do the trick. Copycat Cinnabon Popcorn combines the irresistible flavor of cinnamon and the addictive crunch of popcorn in one slightly sensational snack. 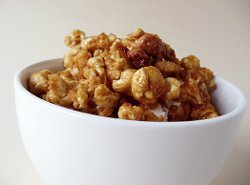 Homemade Cracker Jack - Now you can make copycat Cracker Jack with this caramel popcorn recipe. This Cracker Jack uses fresh popcorn, brown sugar and peanuts for a salty, sweet snack. 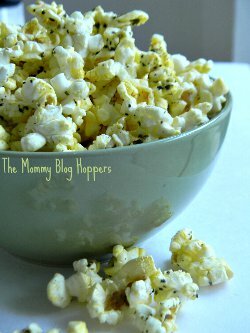 Homemade Poppycock Popcorn - Homemade Poppycock is a positively delicious grocery store copycat recipe. Perfect for a party, the mix of popcorn, butter and brown sugar makes the snack really stand out. Peanut Butter Popcorn Movie Theater Cookies - Have you ever tried a cookie with popcorn mixed into the batter? 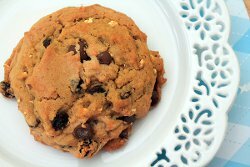 You're in for a surprise with this recipe for Peanut Butter Popcorn Movie Theater Cookies. It's an easy baking recipe with some serious "pop". What's your favorite easy popcorn recipe to make at home? Be sure to let us know in the comments.